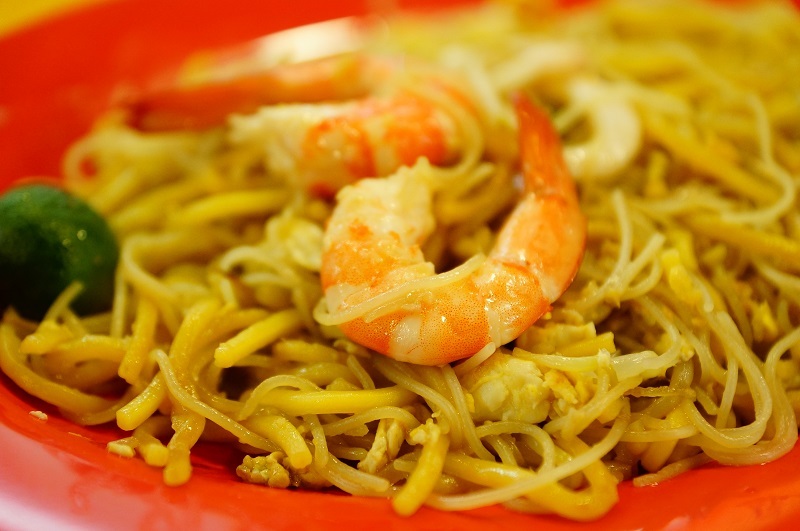 Do you prefer dry version of fried Hokkien mee or the gooey kind that soaked with gravy? How about a plate with tab of sweetness or the saltiness type? Depends on the liking, the preference can greatly affect your affection to the plate of noodle. 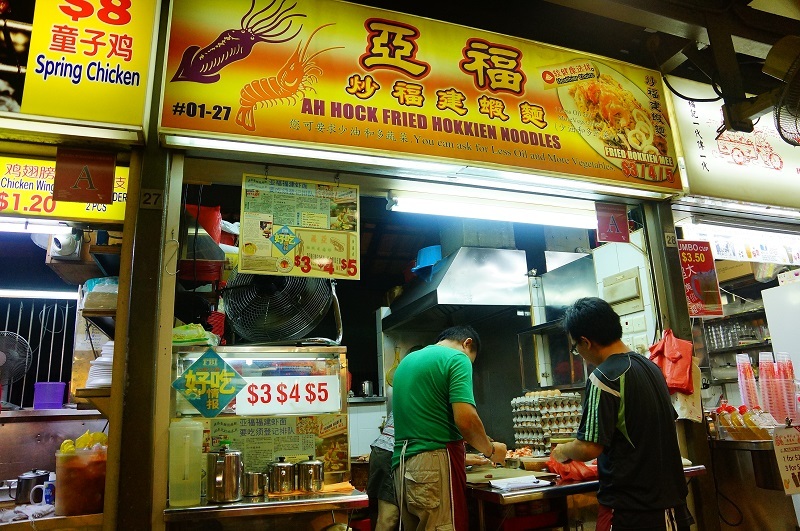 Ah Hock Fried Hokkien Noodles is one of the stalls in the famous Chomp Chomp Food Centre that has been raved about for the delectable plate of the fried Hokkien mee. 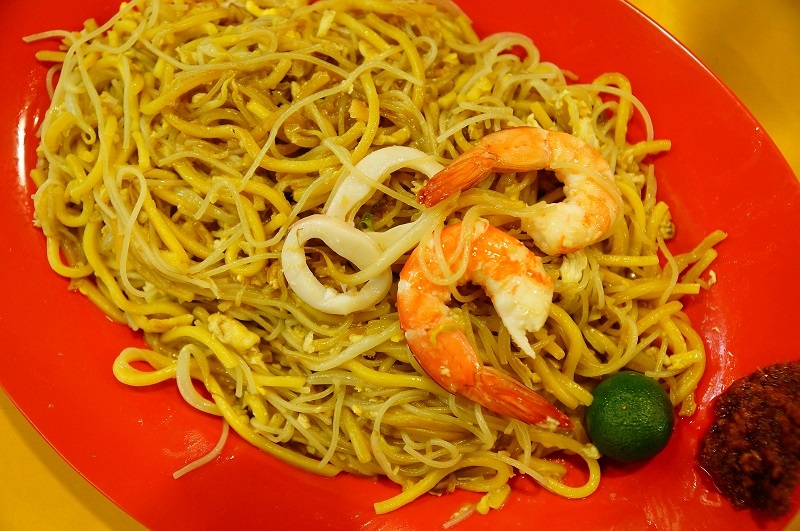 If you like the dry version and not the sweet type that similar to the famous Nam Sing Hokkien Mee at Old Kallang Airport Food Centre, Ah Hock Fried Hokkien Noodles will likely can meet your craving. Standard size comes with $3 / $4 or $5. We love Nam Sing Hokkien Mee and the close resemble of Ah Hock Fried Hokkien Noodles naturally win our hearts over instantly. 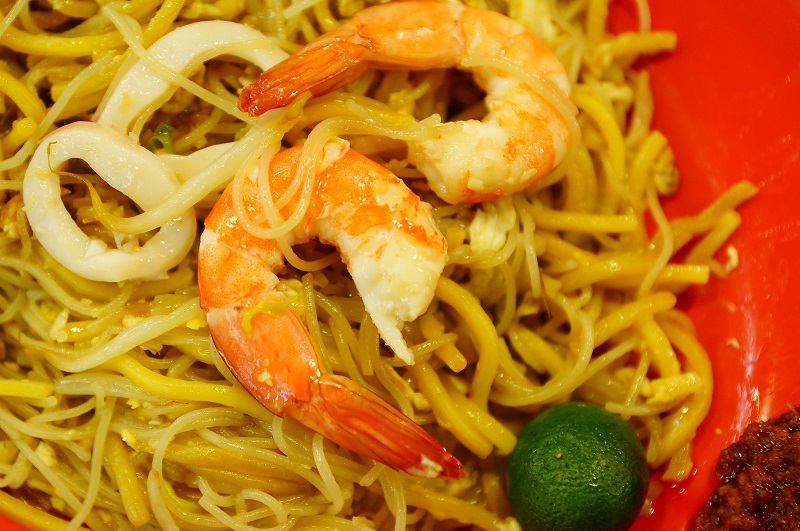 There yellow noodle and white mee hoon were in even proportion, some Hokkien mee stalls tend to have more weightage with the white bee hoon to soak up and retain more flavours from the gravy and seasoning, however, it may compromise the overall texture at the other end. The plate of Hokkien mee never disappoint us, flavoursome with a smell of charred flavour, though we can’t really find any visible pork lard or pork belly slices but the seafood e.g. the prawn, squids and the eggs obviously helped to perk up the flavour with the essence of the broth added. The flavour will probably take you to the heaven if lard and the sinfully pork belly are supplemented to the dish. We have tried the Chia Keng Hokkien Mee in the same food centre but compared the two, our choice is clear, Ah Hock Fried Hokkien Noodles win with a good margin. Though both the Hokkien mee are not the sweet taste type but the flavour from Ah Hock was much inspiring here with its persuasive taste.